This is my first custom map! I wanted to try this out as well because i wanted to compare my map making skills with my improving GIMP skills. Really, With this map It can be pvp, Boss, RP... just about everything This is A really big WIP. I claimed it as done before but I felt I needed to expand. I ended up removing a lot of buildings in the city (I will put them back) added a crevice with a bridge, a forest, and I am working on a mineshaft. I fixed all the bugs I have found so far (Getting stuck in the ground etc.) and I will add more buildings to the city and outside the city too. I will make the forest bigger and the mine as well. If you are interested, keep an eye out on this map for updates. I have been working on it at least every day. I would say this is about 30% complete. 7.Added rough look to the hole in the wall with boulders. 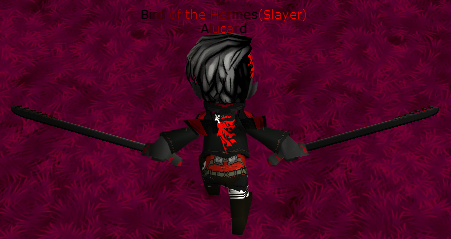 I made this to match a cape i also made. http://aotskins.com/viewtopic.php?f=58&t=8614 This is mainly for rping but if you want to use it for something else go ahead. SCREEN SHOT http://i.imgur.com/w1s3eyb.png T. PLEASE NOTE THAT ALTHOUGH NOT CLEARLY VISIBLE IN SCREESHOT, THERE ARE STITCHES IN THE COSTUME FOR ROUGH APPEARANCE AND ALSO FUR ON SOME PART! Other images that were in here and i need to link them. 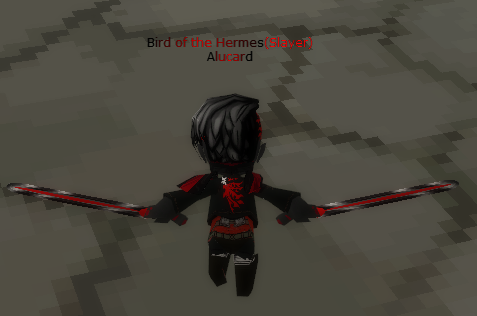 LINK TO BLADES I AM USING AS GUNS http://aotskins.com/viewtopic.php?f=59&t=8548&hilit=Aurora GOOD WORK TO ALL THOSE PEOPLE!!! Before I made the mistake of using google (shame on me) I learned the hard way... Now i have MY OWN take on the fur cape. (Please don't be hateful in the comments. I still love animals.) It isn't as crisp as the template I used (aka it is when you tell a kinder-garden student to color in the lines xD) I't is fixed and better (also less realistic but who cares) It may look like chickenscratch now but It looks good in actual game play. Screen shot http://i.imgur.com/IoCIHdV.png I apologize for it not being fullscreen but i can't take full screen pictures. That is right MORE ICE STUFF!!!!!!!!!! This will probably be my last Ice related post. (Siesta time) Anyway. I got bored after I beat Majora's Mast 3D for the third time and there was no internet. I was out of my house and forgot my computer mouse. (heh heh... rhymes) I did most of the work with a cruddy laptop touchpad. This went to that, blah blah blah. Boring story over HERE YA GO!!! http://i.imgur.com/9WCWeKk.png http://i.imgur.com/jf7ldtI.png http://i.imgur.com/25mNRKQ.png http://i.imgur.com/4rsBkxf.png IMPORTANT NOTICE!!!! THE EYES IN THE SCREENSHOT ARE NOT MINE!!! HERE IS LINK TO THE POST http://aotskins.com/viewtopic.php?f=55&t=7881 I NEED TO MAKE MY OWN SOME TIME SO I AM NOT USING OTHER PEOPLES!!! I TAKE NO CREDIT WHATSOEVER FOR THE EYES. And on that note. Here are the skins themselves. 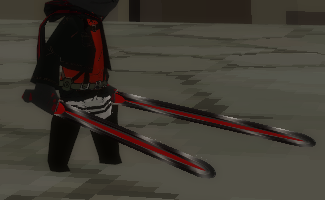 It consists of Blade, Costume, Cape, and Gas. http://i.imgur.com/AlBIdPP.png http://i.imgur.com/HukhW6U.png http://i.imgur.com/zM6gXWB.png http://i.imgur.com/KkMxRAE.png ALSO PLEASE IGNORE THE ANNIE LEONHART SHIMEJI ON MY SCREEN. I forgot to put her away so she was wandering around my screen while I worked. I again did not make her. YET ANOTHER NOTICE. For people who do not know... Right click the images in the 2nd spoiler and click "Open Image In A New Tab" There you will click the url at the top of the screen, copy it, then paste it into your skin box in the game and TA DAHH!!!! These are just some regular Survey Corps capes that I re-coloured and added extra details to such as rips, tears, blood, and the spot in front of the neck is tied instead of whatever it was before. Most of this was done with a cruddy touchpad on my laptop. Anyway, I hope you like and enjoy these capes. My apologies that they do not follow the lines on the template very well but they follow better than my first cape. I am a little bit worried that sombody might have done this colour before. I did do this by myself (aside from the templates) and I did not take anyone else's work. HERE TO SAVE THE DAY!!! This map is done by me and Madzik. Also this map has a secret room, so try find it. Hello I've made the last version of my Large Maze. Between V2 and V3 I've made some improvements to maze, so that way is more enjoyable. Hello, Me and Madzik have created Hide and Seek map. Have fun. Hey, this is my first map I've upload to everyone. 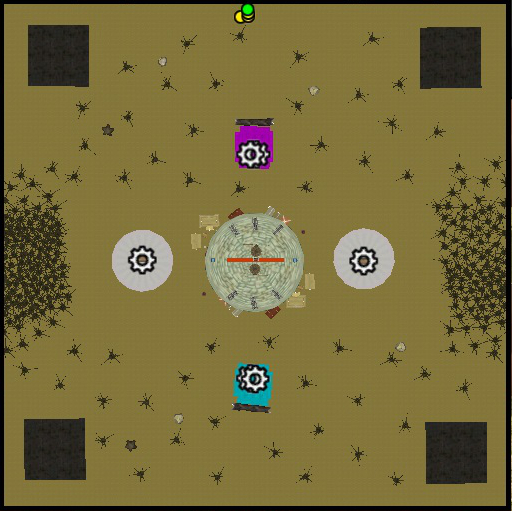 It's PVP bomb mode map with teams. Hey! I wanna present you new map.. Horse racing! You'll get two racing maps, one from me and second from Hixan . I hope he will add his map soon. Slayer Sanctuary is twice the size of the normal forest map. For PvE or City Defence I recommend you set waves ON, the map can support allot of titans.